TODAY'S POLITICAL CLIMATE being what it is, anything a president proposes gets condemned out of hand by lawmakers from the other party. So of course President Trump's proposal last week for privatizing the US air-traffic control system was no sooner announced than a slew of top Democrats, including Senate Minority Leader Charles Schumer and his House counterpart, Nancy Pelosi, proclaimed their opposition. But just this once, could we suspend the automatic partisan resistance? 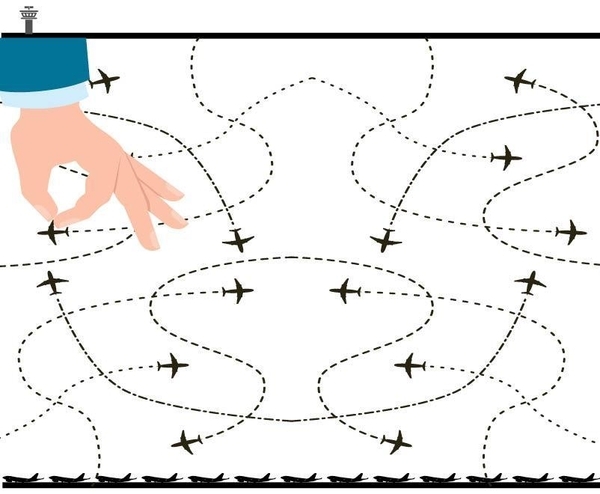 Devolving air-traffic control operations from the Federal Aviation Administration (FAA) to a self-funded nonprofit corporation really is a worthwhile idea, one lawmakers from both parties should get behind. "We want to improve the efficiency of our infrastructure, particularly air traffic control. . . . The FAA's 20-year effort to modernize its air traffic control technology simply has not been able to keep pace with either the emergence of new technology or the growth and demand for air travel. And while we've made significant progress, as the horrendous — I don't know how else to say it — just the horrendous flight delay statistics demonstrate, we have not done nearly enough. . .
"Flight delays have increased by more than 58 percent in the last 5 years; cancellations by 68 percent. In addition to widespread passenger frustration and anger, which I hear about wherever I go, these delays are costing airlines and passengers more than $5 billion every year. Part of the problem is due to outdated technology . . . But a more fundamental problem is also how the FAA operates." Full disclosure: Those words were spoken by a Democrat — 17 years ago. It was President Bill Clinton who was frustrated by the nation's "horrendous" air travel problems and the FAA's failed "20-year effort to modernize." The key differences between then and now, party politics aside, is that the FAA's failure to launch has passed the 35-year mark — while a superb alternative to America's air-traffic control system is flourishing on our doorstep. The flaws with the US system have been exhaustively documented. It is technologically backward, with controllers still relying on paper strips instead of satellite-based GPS. Its funding is distorted by pork-barrel politics. The FAA struggles with staffing problems, and doesn't always have enough qualified controllers at the busiest airports. Contrary to aviation best practices, the FAA is responsible for regulating air safety and providing air-traffic services — an inherent conflict of interest. By common consent, Canada's air-traffic control system, which was privatized 20 years ago, is the world's finest. Dozens of countries have adopted a far better system: a self-supporting air-traffic control corporation that operates privately under government oversight. By common consent, the nation that does it best is Canada. As Bloomberg's Adam Minter writes, America's neighbor to the north "privatized its air traffic control system in in 1996 and hasn't looked back since." Under the Canadian system, which is the model for the White House proposal, the operation is funded not by politicians, but by airlines and flight operators who pay fees for services rendered. The corporation is directed by a board made up of aviation "stakeholders" — passengers, airports, pilots, airlines, and traffic controllers themselves. 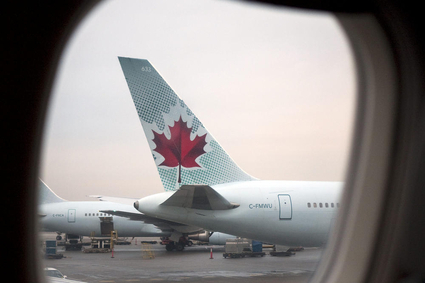 Unlike Canada's system of socialized medicine, its aviation reforms are universally admired. NavCanada, the country's air-traffic control provider, has time and again been honored as the world's finest. NavCanada boasts state-of-the-art technology, financial stability, and market-based efficiencies that the FAA can only dream about. Even better, it has simultaneously reduced its fees and improved safety. What is true of any legislative proposal is true of Trump's proposed FAA overhaul: The devil is in the details. But Canada has worked the details out, and the results are beyond impressive. It's way past time America followed suit. Another TSA debacle. Is anyone surprised?